Whether your holiday home is a villa or cottage, a touring or static caravan or a trailer tent or folding camper, we’ve got you covered. Try us out and see how we can help save money and make finding the right insurance that little bit easier for you. Holiday home insurance should cover all the risks of a main home insurance policy, but it will also include cover for longer periods of unoccupancy or when the home is let to family, friends or other tenants. This includes damage or theft by guests and replacement locks if the keys are lost, public liability cover if guests are injured while staying at the holiday home and employer’s liability for cleaners, gardeners,maintenance staff etc. Emergency travel to the property is covered and loss of rent if the property is uninhabitable. Inadequate holiday home cover could leave you with a costly bill. We advise and assist you on making sure you buy a policy suitable to your needs. With over 10 years of experience in the holiday home insurance market and you can deal directly with our team in Bristol – it’s a relationship with someone you can trust. There are many reasons why people make an investment in a trailer tent or a folding camper. These units do, after all, bridge the wide gap between a canvas tent and a touring caravan. One of the biggest concerns for trailer tent and folding camper owners is the risk of theft. 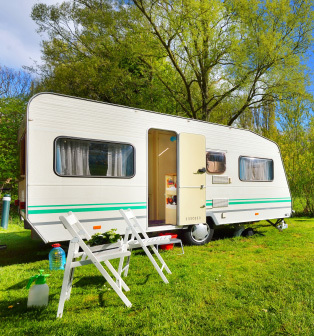 There are stories told of trailers being stolen from the towing vehicle at service stations, or on campsites whilst they aren’t in use and this is probably the main reason people take out a trailer tent or folding camper insurance policy. Your trailer tent or folding camper can also be insured whilst on the road. Most car insurances will cover you for your public liability whilst towing, but wont cover damage to the towed unit itself, whether it’s yourself or a third parties fault. Insuring your unit can offer you peace of mind whilst towing. If the trailer tent was at any point rendered unusable / uninhabitable by one of these causes, you may be entitled to reimbursement for alternative accommodation or hire of a similar trailer tent for your pre booked holiday, or if the unit is unusable for 24 hours or more whilst already in use. 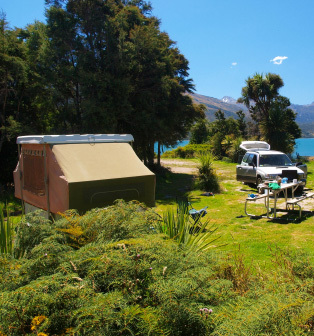 As you can see, although you may not experience any trouble, there are a lot of unforeseeable risks that go hand in hand with using your trailer tent or folding camper. Even though caravan insurance is not a legal requirement it is strongly recommended if you care about your unit and have spent a lot of money on it as well as its contents. Most car insurance policies include third-party cover for trailers but your caravan is not covered. Furthermore, if your caravan should suffer any damage in a fire, accident or be stolen, you won’t be entitled to claim under a car insurance policy. It is therefore worth investing in separate caravan insurance cover, so that you are properly protected just in case.